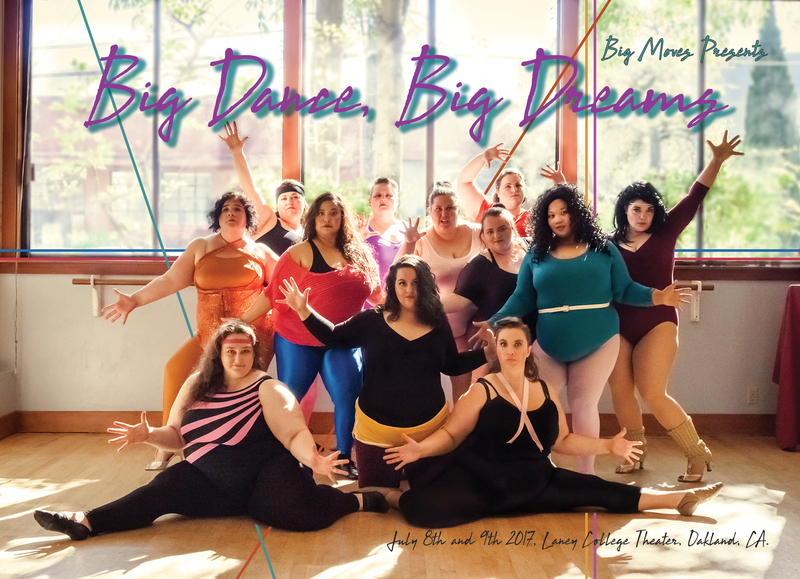 Big Moves’ own emFATic DANCE returns in an all-new dance spectacular with special guests Bahiya Movement, Tammy Johnson of Raks Africa, Shapes & Shades Dance Company, Sarah & Tigress, Lady Monster, The Embodiment with The Body Squad, Tyrone Peaches and Friends, Misia Denéa, Magnoliah Black, and more! The incomparable Juicy D. Light emcees! More details coming soon, so mark your calendars and stay tuned!Accessibility notes: Theater and bathrooms are wheelchair accessible. Fixed theater seats have arms. Seat width on fixed seats with arms is 19 inches. There will be a number of armless chairs in the accessible seating section. We will be reserving the row of seats behind the accessible section so that people in mixed size/ability groups attending the show together can sit together. To reach the accessible entrance, enter the campus from Fallon St. and enter at the back of the theater. Go down the hallway and enter the theater directly. We will have a volunteer check you in at will call or take your money for a ticket. There are accessible bathrooms on this level. There is street parking on Fallon St. and flat, but sloped, pathways to get to the theater. There are a number of disabled parking spaces available in the Laney parking lot closest to 8th St. and Fallon and the theater. From that lot, you will go down an alley behind the theater to the entrance that is closest to 10th St. People can also be dropped off directly at the accessible entrance door. We will have a volunteer posted at the entrance and lots of signs!